I thought that this post was fitting as I was fully made up for a Halloween party last night and was NOT look forward to washing off my makeup when I got home. I dressed up as a cat and painted on a nose and whiskers with Urban Decay 24/7 eyeliner (which stays put) and set it with black eyeshadow so I already knew it was going to be a struggle to remove. When I create a smokey eye or wear dark lip color, I always turn to my Clinique ‘Take the day off’ makeup remover and it comes through for me every time! This particular remover is for lids, lashes and lips. I don’t know about you but my high pigmented lipsticks DO NOT come off with a swipe of a tissue, so this makeup remover is a god send for me. I have never had success with makeup removers in the past, they smeared my makeup, were sticky and made me have to RUB my eye area which is a no-no, but this product gave me hope in makeup remover once again! As for my Halloween makeup, I had no problem at all and was pleasantly surprised at how easily it swiped off without pressing hard or scrubbing like I have with makeup removers in the past. With this formula, a little goes a long way! I just put a few drops on a cotton ball and swiped! Ladies- rubbing your eye makeup off contributes to wrinkles and unnecessary puffiness and this product just glides along your skin smoothly while removing all your makeup! It is fantastic and if you’re looking for a makeup remover for your eyes and lips- this product will not let you down! Clinique has a few more makeup removers for the entire face which I’m sure work just as well but I have yet to try them. 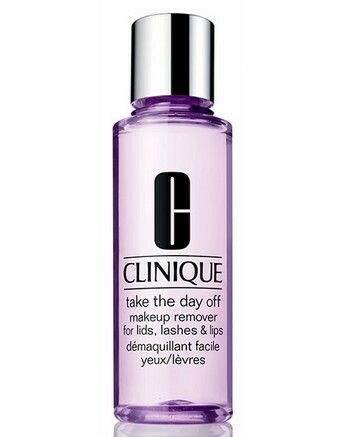 Clinique ‘take the day off’ Makeup Remover. Ever seen a baby with freckles? Neither have I. I saw that quote in one of my mom’s magazines as a kid and have always remembered that. Freckles come from the sun, PERIOD! Of course some people are more prone to them and are fair-skinned, but the majority of us can avoid them all together if we give it a small effort. Always be present when you are in the sun- always remember the baby freckle quote. Sure we all accumulate freckles throughout our lives but just keep in mind that they come directly from the sun. I like to think of them as “little burns” on my skin that stay forever and turn into large sun spots when we’re older! NOT CUTE! Aging gracefully is beautiful, premature aging is NOT! Do I always avoid the sun? No way Jose- I love sunny days but you better believe I’m slathered in SPF and wearing sunglasses or a hat. Also I always look to sit in the shade and always stay aware! It’s all about being aware! I am never that girl who accidentally gets a crazy sunburn- it just won’t happen because I’m aware. Smoke? STOP. Those lovely vertical lines that surround your upper lips will only get worse. Don’t have any yet? They’re on their way! The repetitive motion of puckering your lips to inhale that cigarette is slowly forming wrinkles! Drink much? Slow down. Excessive drinking does cause premature wrinkles. Read this! No rubbing your eyes- just don’t. Be aware when applying and removing makeup- use eyeliner much? Think about every time you pull down your under eye to expose your waterline to apply the liner, every day, sometimes twice a day. Be very careful when you do this not to over pull- most people never even think about it but to expose your waterline the under eye barely needs to be moved if even at all! Tummy sleeper? Think about how you smash your face all night long every night. Side sleeper? Notice wrinkles on one side of your face more than the other? You probably sleep on that side. Scrunching your cheeks up against a pillow for 8 hours a night can cause unsightly crows feet and around the mouth wrinkles ( also known as parenthesis wrinkles). Want to avoid this? sleep on your back. Ladies who sleep on their backs have less wrinkles! It’s true! Apply eye cream nightly? Apply with your ring finger as it the weakest and won’t put unnecessary pressure to the area. Also use small soft upward strokes to apply the moisturizer. Always always always treat the under eye/eye lid area like tissue! Literally baby that skin and it will look like baby skin! Treat it rough and it will look rough. Don’t moisturize? Start NOW! I started at 20, you’re never too young! Find an eye cream and a facial moisturizer ASAP! Use them both daily! Give your skin the time! It’s takes only 10 minutes a day to wash and moisturize your face 2 times! Wash your face and moisturize every night- no matter how tired you are. Drink water- hydration is just good for everything! Do expensive products work better? Most of the time YES, however affordable products can get the job done too. Something is better than nothing if you’re on a budget. Already have wrinkles? 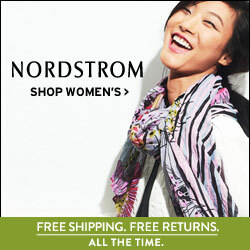 It’s never too late….. who needs more wrinkles? nobody. You can still delay future wrinkles from appearing! Don’t be discouraged! What do you want your skin to be? I wanna be grapes and steaks! I do believe all skin eventually wrinkles in some degree, but I think those wrinkles can be delayed for many many years if you put in the time and effort!